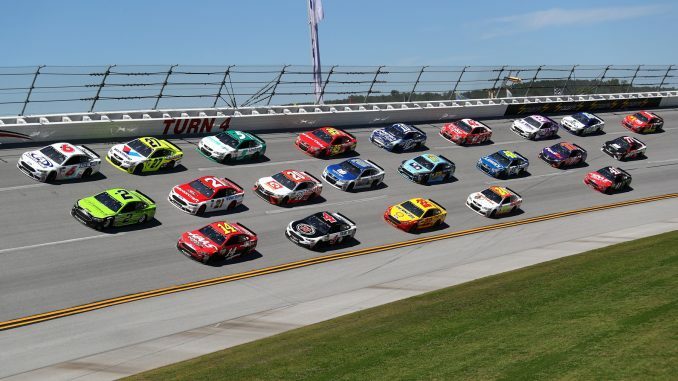 DAYTONA BEACH, Fla. – It’s a big deal and rare achievement when any driver reels off three consecutive wins in the premier Monster Energy NASCAR Cup Series. And only nine races into the 2018 season – that’s happened twice already. On the season, Busch and Harvick account for six wins in nine races, but also four runner-up finishes (Busch has three, Harvick has one). The pair of Monster Energy Series champions (Harvick in 2014, Busch in 2015) appear to be out to add a second title to their resumes. Since 1998, only one driver – seven-time Monster Energy Series champion Jimmie Johnson – has won four consecutive races. Johnson closed out his 10-win, title-hoisting 2007 season with victories at tracks familiar with this 2018 storyline: Martinsville, Atlanta, Texas and Phoenix. Busch has the opportunity to equal that mark in Sunday’s GEICO 500 at the 2.66-mile high-banked Talladega Superspeedway (2 p.m. ET on FOX, MRN and SiriusXM NASCAR Radio) – one of the most unpredictable venues on the schedule. But Busch’s Joe Gibbs Racing teammate Denny Hamlin, who finished third Saturday night at Richmond, gives Busch’s No. 18 Toyota team full-on credit for getting results no matter what the situation dictates, from the Texas 1.5-miler to the tight Bristol bullring. And like so many, he sounded optimistic that his teammate absolutely be considered a favorite again this week. As with Johnson, the only active driver to ever win four straight and one of only eight in the Modern Era (1972-Present), Busch has a history of getting on a roll. Johnson and Busch are the only two drivers entered Sunday to have won three consecutive races more than once. Busch won three straight in 2015, amazingly winning on the Sonoma road course only five weeks after returning to competition from a severe leg injury. A 17th-place finish at the next race in Daytona was the only hiccup in a five-race stretch that saw him hoist four trophies en route to his first Monster Energy Series championship. 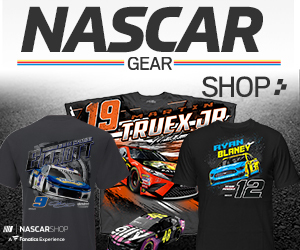 Throughout his career, Busch has been a driver that builds on success. He has won back-to-back Cup races five different times, starting with Daytona and Chicago in the summer of 2008. His others took place over the past four seasons, starting with his three-peat in 2015 and sequential trophies in 2016 at Martinsville and Texas. Last year he won at New Hampshire and Dover during the Playoffs in consecutive weeks before this year’s streak. Only eight drivers in the Monster Energy NASCAR Cup Series Modern Era (1972-Present) have won four consecutive races – Cale Yarborough (1976), Darrell Waltrip (1981), Dale Earnhardt (1987), Harry Gant (1991), Bill Elliott (1992), Mark Martin (1993), Jeff Gordon (1998) and Johnson (2007). None of their winning streaks, however, included Talladega, where the series heads this weekend. Busch has reason to at least be hopeful though. He has won at Talladega – in fact, he won this very spring race in 2008. Since then he has nearly as many top 10s (six) as he does finishes of 20th or worse (eight) at the track. However, he was runner-up in this spring race two years ago and third last year. “Pretty cool to win three in a row,” Busch allowed Saturday night in Richmond. “That’s really special. Certainly we did that in ’15. Almost won four in a row. We ran out of gas, half a lap to go.